Learn about our partner, Learnosity’s Items and Questions and how to use them. In this tutorial, we'll look at the basic content building blocks of the Learnosity platform: Items and Questions. The purpose of this tutorial is to allow you to understand the role of each and how they work together. In the next tutorial we will discuss how to author Items and Questions. Adding material other than questions to an Item is entirely optional. Often, Items hold nothing more than a single question. However, the real power of Learnosity Items is with their flexibility. Questions and Features can be placed side by side or underneath each other. Multiple questions and features can be placed in the same Item, although we generally recommend not to add a large amount of questions into one Item, as it may affect page load time. Apart from content, Items are also responsible for holding tag metadata that can be used when utilising the search filter in the Learnosity Author Site. In order to deliver assessments, Items are grouped together in an Advanced Assessment. 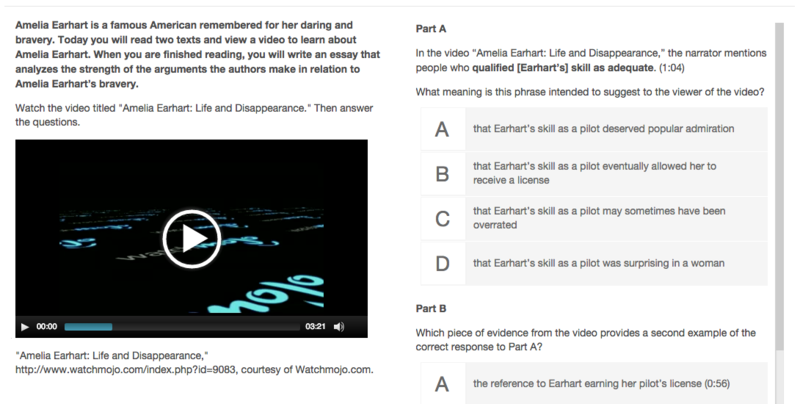 What is a Learnosity Question? Learnosity questions are what the word implies: tasks for a student to complete in the context of assignment, study review or quiz. In order for a question to be used in an assessment, the question must first be added to an Item. 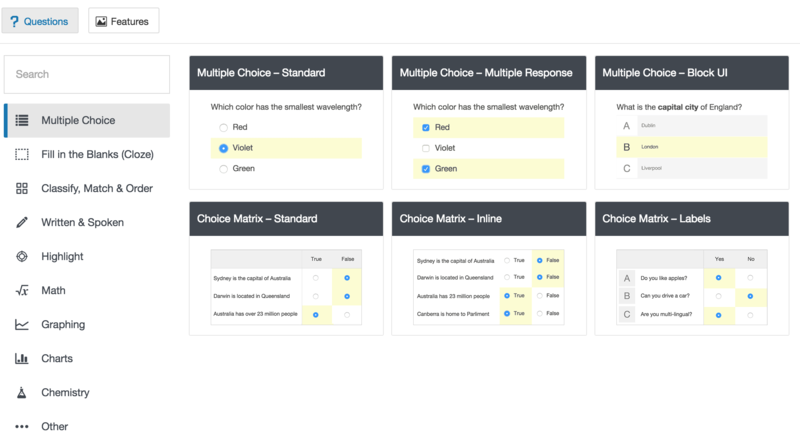 Our broad range of question types stems from the common multiple choice, fill-in-the-blank, drag and drop, matching, and open response questions, to the more complex math formula, graphing and chart question types. All questions are flexible, and can be customised on a per client basis.